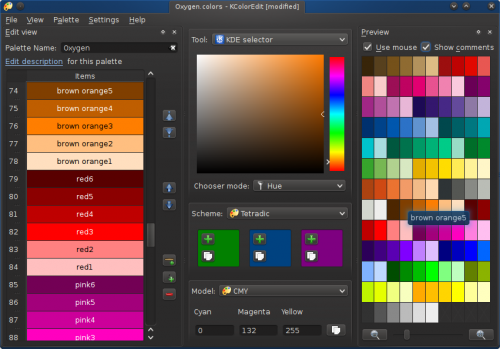 Difference between revisions of "KColorEdit"
KColorEdit is a very useful tool for easy and fun editing and creation of color palettes. 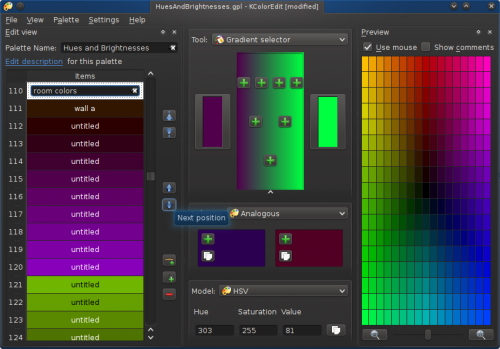 Supports increase or decrease of hue and saturation. 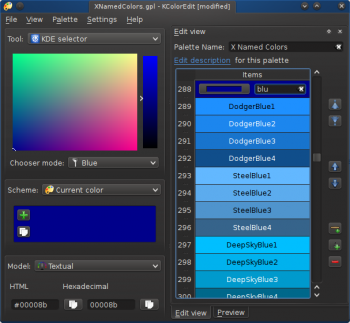 KColorEdit is intended be a tool for web designers, is particularly useful when editing CSS files and you want to choose the "right" color for your project. Many pages have a nice design, but sometimes those pages has issues with the color scheme. For example: when you try to read the text you can't do it because of the background. 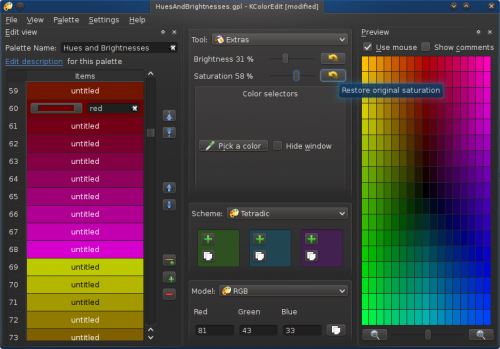 Indeed, when the text color's and background color's doesn't contrast themselves (or doesn't fit) then the eye has to be extra effort to read the text. 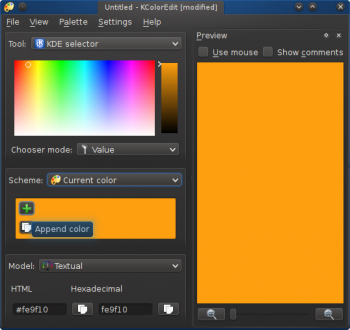 Image you have #fe9f10 as background color. 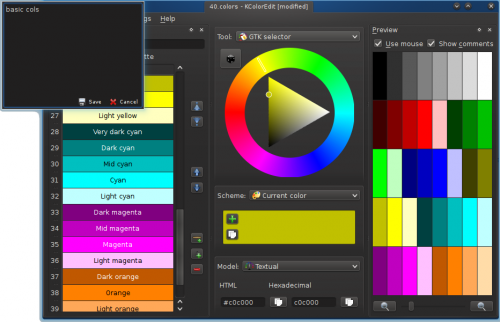 Lets add this color to our palette (click the button). With KColorEdit is easy to select the "opposite" color: the (best) text color. Just select Complement in the Sheme drop down list and the task is done. 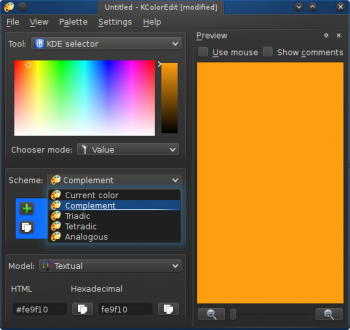 KColorEdit is part of KDE Extragear. The User Handbook is fairly old, but helpful. This page was last modified on 5 November 2018, at 17:37. Content is available under Creative Commons License SA 4.0 unless otherwise noted.